There was another warrior that fit the bill in the Bible and his name is Jonathan, son of King Saul. 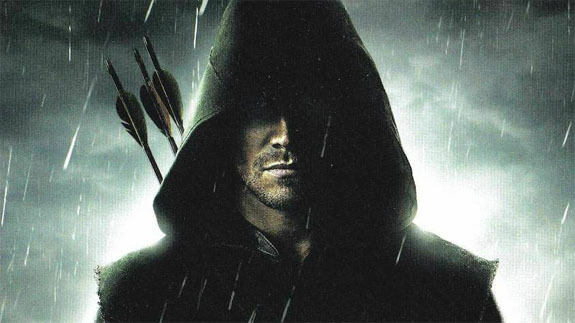 Reading about the man has reminded me a bit of the Oliver Queen that was portrayed in the show. Especially when it came to issues with his father.Oliver Queen’s family was a great family on the outside but in the first season you learn that the father, Robert Queen, had a bit of a dark side. He made decisions that not only endangered his family if more people knew about his dealings but also the city which eventually did happen during the undertaking. His father working with the low lives of the city and benefiting of it eventually saw the error of his ways and left it to his son Oliver, to make things right. Sometimes sons have to inherit the sins of the father but we must always do the right thing. Oliver wasn’t fully sure how but Jonathan knew when dealing with Saul. Jonathan first showing of doing the right thing when his father made a folly was during the battle against the Philistines. In such a huge and tiring battle Saul made his Israelite soldiers afraid to eat because Saul declared anyone who ate before the battle was over would be cursed for death. However, Jonathan not hearing ate a little honey and that gave him the energy he needed to fight effectively and create a win for his people. (1 Sam 14:24-46) Even though Jonathan should have been put to death he found favor with the Lord and was allowed to live. Further out into the future after Samuel informs David that he has been decided to be the future King of Israel (1 Sam 16:12-13) Saul in his jealousy plotted against David’s life. Thankfully Jonathan befriended David (1 Sam 18:1-4) and vowed to defend him when he can. Saul sent David into battle but he came out victorious many of times. (1 Sam 18:12-15). Saul even plotted to give his daughter’s hand in exchange for one hundred Philistine foreskins. (1 Sam 18:24) However this is stopping what the Lord have set in motion. Which cannot happen. Jonathan began to defend David (1 Sam 19:1-7) and even protected him by making sure he was safe from the wrath of his father (1 Sam 20:35-42). Jonathan had to protect an innocent man from being killed by his father. Both men had to do what was right for their father’s sake. Remove a cancer from the city that made it vile everyday. Protect the future King of Israel from a tyrant of a father (1 Sam 23:14-18). Both men did what they had to do what was right. Both awesome bow-wielding heroes. Both valiant in their own right.